Like most young starlets, Stephanie Simmons moved to Hollywood to pursue fame and fortune. Stephanie, however, finds herself working as a clerk, trapped in an unbearable marriage-- far from the life of glamour she had envisioned. "The Woman in Black" offers the reader a rare glimpse into the fascinating, high-stakes world of international investigation as a globetrotting private eye, Ethan Eshed, pursues embezzlers, murderers, kidnappers and terrorists across several continents in cases ranging from fraud to espionage. 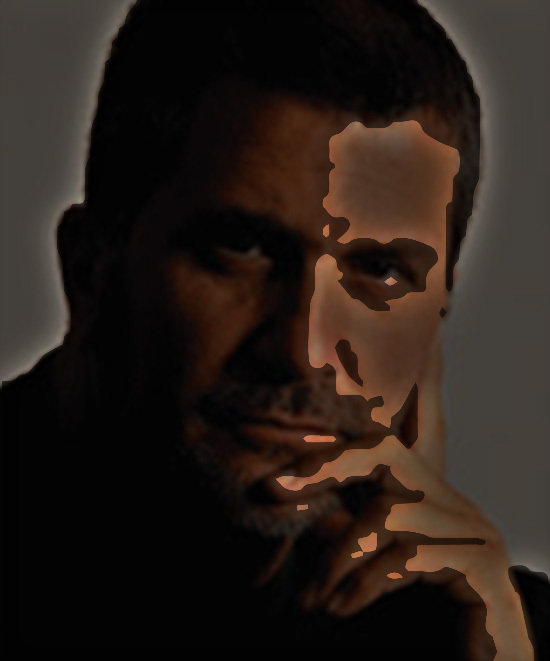 Moti Shapira began his career as a detective for the Central Unit of Investigation in the Israeli Police Force. He continues to serve with a special anti-terror unit on the IDF Reserve Forces. Over the past two decades Moti has conducted criminal investigations and intelligence gatherings for his clients worldwide. From his offices in the United States, Europe and Israel, Moti serves a variety of clients including lawyers, celebrities, major corporations, businessmen and politicians. Like most young starlets, Stephanie Simmons moved to Hollywood to pursue fame and fortune. Stephanie, however, finds herself working as a clerk, trapped in an unbearable marriage -- far from the life of glamour she had envisioned. A turn of events leads Stephanie to begin studying Islam, where she becomes obsessed with learning more about the culture. Her attraction to Islam is reinforced by her passionate desire for her professor, whom she falls in love with. Upon sharing her plans to travel to Iran, Stephanie is surprised when her mother emphatically objects. Even more perplexing, the CIA becomes involved in dissuading her from traveling. Great complications unfold and Stephanie soon discovers that she is at the center of a stormy espionage affair. Realizing that her “monotonous” life has really been a tangled web of deceit, Stephanie has to unravel her own mystery. Path of Lies will thrill you at every page, while offering an exceptional glimpse into the daily life and difficulties in Iran, facing the shadow that threatens the Iranian Revolutionary Guards. 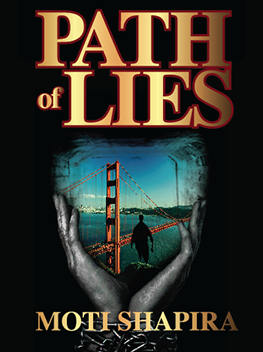 Path of Lies is the third novel by author Moti Shapira, who anchors his writing in the realities of his own real-life experiences in covert operations. Moti began his career as an undercover detective for the Central Unit of Investigation in the Israeli Police Force, and continues to serve with a special undercover counter-terrorism unit on the IDF (Israel Defense Forces). He currently uses his expertise to train police and military intelligence units in various countries throughout the world, and conducts private investigations for his clients worldwide.